Henrik Håkanssonin elokuva pohtii maapallon tilaa hyönteisnäkökulmasta. Päätähti on uhanalainen kovakuoriainen halavasepikkä, jonka ainoat tunnetut esiintymät ovat Mätäojan ympäristössä Vantaalla. Musiikki Mika Vainio. IHME-nykytaidefestivaalin vuoden 2018 teos. 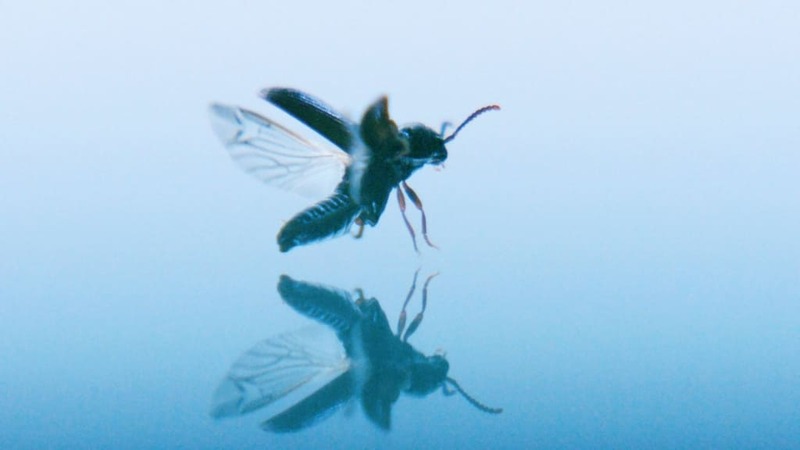 IHME Project 2018: Henrik Håkansson's film The Beetle. The Beetle's main protagonist is The Hylochares cruentatus - in Finnish the halavasepikkä (literally: halava = bay willow, sepikkä = false click beetle). It is less than a centimetre long endangered species of a beetle that lives only on the old Mätäoja riverbed in Vantaa, Finland. In choosing the halavasepikkä as the starting point for his work, Henrik Håkansson links it with some major questions about climate change: species diversity, sixth wave of distinction, the relationship between humankind and nature. The experimental electronic music in the film is adopted from Mika Vainio's (1963-2017) concert at Sónar 2015. IHME Project is the main production of the IHME Festival and is conceived by an invited, internationally recognised artist every year. The world premiere of The Beetle is at the IHME Festival in Helsinki and globally at Yle Areena 25.5.2018.